The American Cancer Society (ACS) and the American Institute for Cancer Research (AICR) each created dietary and physical activity guidelines to improve cancer survivorship. 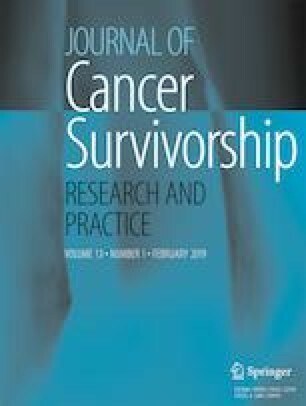 Despite African American breast cancer survivors (AABCS) having the lowest survival rates of any racial or ethnic group, limited information exists on their adherence to cancer-specific lifestyle recommendations. The study’s purpose was to measure adherence to ACS/AICR dietary recommendations in AABCS. Two hundred ten AABCS enrolled in the Moving Forward intervention trial, a randomized, community-based, 6-month weight loss study, were assessed for socio-demographics, dietary intake (via food frequency questionnaire), and related health factors at baseline. We operationalized the dietary recommendations put forth by ACS/AICR and created component and total adherence index scores. Descriptive statistics were used to calculate the proportion of women who met recommendations. Student’s t test and χ2 tests were used to compare participant characteristics by median adherence scores. The mean total ACS/AICR score was 12.7 ± 2.5 out of 21 points (median, 13; range, 5 to 21). Over 90% were moderately or completely adherent to limiting alcohol and red & processed meat consumption, but the majority failed to meet the other recommendations to eat whole grains, legumes, fruits, vegetables, and avoid added sugars. Women with total scores below the median were younger, with higher BMI, had fewer years of education, and lower income levels. The present study extends the literature on AABCS adherence to cancer survivor–specific dietary guidelines. Findings will inform future dietary lifestyle interventions in this population. The online version of this article ( https://doi.org/10.1007/s11764-019-00748-y) contains supplementary material, which is available to authorized users. We want to acknowledge the ladies who participated in Moving Forward as well as the staff, including but not limited to, Desmona Strahan, Roxanne Dakers-Jones, Lauren Mathews, and Cynthia Andrews. The University of Chicago Comprehensive Cancer Center and the Robert H. Lurie Comprehensive Cancer Center at Northwestern University should also be acknowledged for their support with the recruitment of study participants. Lastly, we recognize Nina Sandlin for her help with manuscript preparation. This work was supported by the parent study, Moving Forward, a community-based randomized weight loss intervention trial (NCT02482506, R01CA116750), the University of Illinois at Chicago Cancer Education and Career Development Program (CA057699), and the Stanford University Prevention Research Center NHLBI Cardiovascular Disease Prevention Training Program (T32 HL007034). Dr. Lisa Tussing-Humphreys was supported by American Cancer Society Mentored Research Science Grant (MRSG 014-025-01-CNE).